Even the best-looking windows in the world are useless without proper insulation. Window insulation is what keeps the cold out, the heat in, and your energy bills down. As well as maintaining an even temperature around the house, it also reduces condensation appearing on your windows and improves air quality. Inefficient insulation leads to heat loss. Shockingly, if your insulation is poor, the amount of heat you can lose is the equivalent of leaving the window open all year round! To ensure you’re not wasting money, or heat, we’ve put together a guide on how to check and insulate your windows. Checking your insulation, the signs to look out for. Does your house feel cold? Or is there always a draft? If so, your windows are not properly insulated. There are a couple of ways to check your installation. The easiest way is to look at the windows. If any moisture gets trapped in between the panels of your windows, you could have a leak. If this build up is around the edges, the leak will be in the seams. If the moisture is in the centre of the window, a crack or a chip in the glass could be causing the leak. On windy days, you might also be able to feel a draft where the leak in your insulation is. There are many different types of window insulation that you can use. Simply trim down the self-adhesive strips to match the dimensions of your window. Then stick the strips on the inner frame. This is easy to use, but doesn’t last forever and will need to be replaced every now and again. This can come in a pre-packed rope form, which, like weather sealing, is cut to match the window and press into the seam. 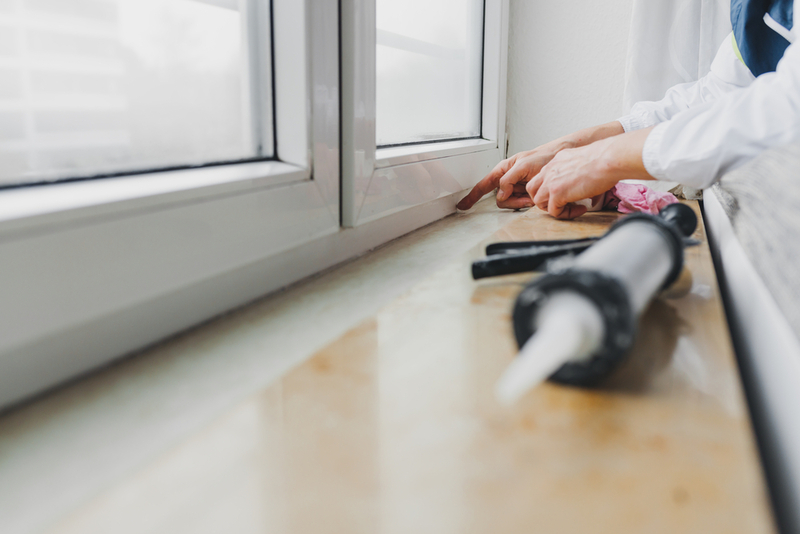 With a putty like texture, caulk is easy to place but can make your window look messy and may need painting. You can also get high-performance caulk, which can be squeezed into the gaps for more durability. Expanding foam is great for large accessible gaps around the window. When the foam is squeezed into the gaps, it will expand to fill the space and provide high-quality and lasting insulation. There’s also options to insulate the entire window with film insulation. This insulation is applied to the whole window and heated to tighten into place. However, it can make the glass have a film-like appearance. For a little extra bit of insulation (useful during winter!) you can also add insulating blinds to help keep the temperatures just right. At LB, we have a range of blinds specially designed to fit your roof window – explore our range here. Still unsure on how to achieve efficient insulation? Talk to a member of our team.